Should We Fear the Arab Spring? 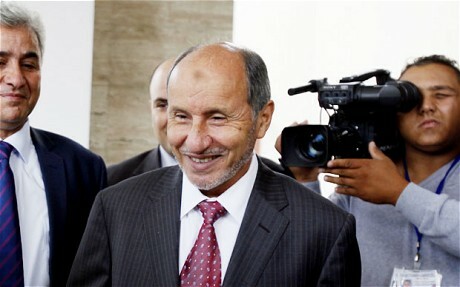 Mustafa Abdul-Jalil, the Chairman of Libya's National Transitional Council, recently decreed that polygamy would be legalized and banks would not charge interest. Dictators across the Arab world obviously have reason to fear the phenomenon known as the Arab Spring. The wave of popular uprisings has already toppled leaders in Tunisia, Egypt, and Libya since January, and tyrants from Damascus (Syria) to Sanaa (Yemen) to Manama (Bahrain) are feeling the heat from domestic protesters and rebels demanding change. But in recent days observers in the West have voiced concern that events are taking a dangerous turn, down a path that could harm Western interests and undermine the quest for democracy that has purportedly motivated much of the unrest. (2) In Egypt, the Muslim Brotherhood is a powerful actor and will likely do well in the upcoming elections, scheduled for November 28. Since the ouster of President Mubarak–a close U.S. ally–in February, concerns have grown in the U.S. that his successors may be less hospitable toward peace with Israel. Attacks on the Israeli embassy in Cairo and against Coptic Christians have underscored the instability of this key country. Are these criticisms premature and lacking in perspective, given the nature of the regimes that the Arab Spring toppled? Or do they correctly sound the alarm about ominous developments that undermine democracy in the Arab world and the interests of Western powers? This entry was posted in Uncategorized and tagged Arab Spring, democracy, Egypt, Islamism, Libya, sharia law, Tunisia. Bookmark the permalink.